I woke up on Day 2 feeling better than expected, considering I didn’t sleep well at all. According to the timeline I referenced briefly yesterday, today should be the hangover phase. Fortunately for me, since I don’t eat too terribly bad even when I’m off the wagon, my “hangover” phase isn’t as bad as it could be. I can only imagine what it would feel like to a chronic soda drinker or something similar! I had off of work yesterday, so after my 0330 wake-up with Kevin I spent the morning writing, researching, and cleaning the house. I actually mopped our kitchen floor by hand and to that I have only one word to say: “Gross.” I also began taking down our Christmas decorations, but it got a little too sentimental so I stopped and left our living room a mess of garland and ornaments. 🙂 I always hate taking down Christmas decorations…the house looks so festive while they are up and once everything is back to normal it all seems so plain for a while. But, I digress. Don’t worry, I’m still not going to start posting pictures of everything I eat, but the salad I had for lunch yesterday looked so pretty that I couldn’t resist! Plus, I find that I prefer when long blog posts include pictures, even just a few, to break up all that dialogue. Don’t get me wrong, reading is my favorite activity EVER, but who doesn’t love a picture or two? Breakfast, 0600: Same schedule as yesterday, up at 0330 and breakfast at 0600. I scrambled two eggs with some sauteed veggies, sliced up a pre-cooked chicken breast from our emergency protein stash, and added half of an avocado. I prepared the chicken by following this recipe by Melissa Joulwan of The Clothes Make The Girl and she does not disappoint – it is fantastic. True that it’s more work than I’d usually put into chicken with the brining and all, but it was so worth it. The best part? We have a week’s worth of deliciously cooked chicken breasts for this week! Win! Lunch, 1215: I probably would have eaten lunch earlier but I’m not going to lie – I took a much needed nap at 1100 instead. 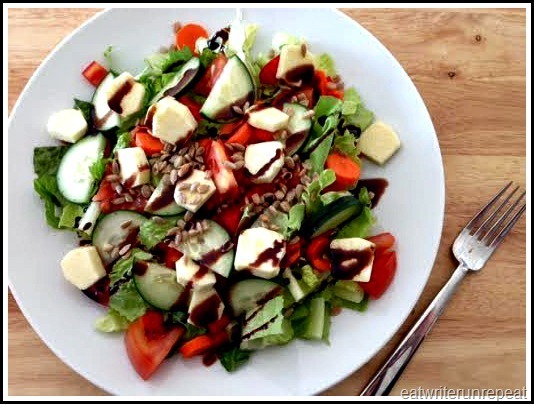 Once I woke up I whipped up a salad (pictured above) with a mix of romaine and butter lettuce, carrots, celery, bell pepper, cucumber, cherry tomato, zucchini slices, and sunflower seeds, topped with aged balsamic vinegar. I also ate the leftover italian meatballs from Day One’s dinner for my protein. Dinner, 1715: After breakfast I pulled a package of slow-cooker pork carnitas out of the freezer to thaw, without a real plan as to what I was going to do with them for dinner. As I was staring somewhat dumbly at the counter I saw the two plantains I spontaneously purchased at the grocery store and BAM! The idea for plantain nachos just sort of hit me. I sliced the plantains and fried them in coconut oil, topped them with the pork carnitas, a healthy dab of homemade guacamole, and served them with fresh salsa, diced onion, and garlic tabasco sauce. Holy moly. Now according to the Whole30 Meal Planning Template we should have had more vegetables on the side and we probably could have gotten away with only using one plantain between the two of us, but the meal was enough to satisfy us both and it tasted fabulous. Plus now I have another Whole30 recipe in my arsenal! It’s not much of a “recipe” per se, but I’ve included the basic instructions below the picture. Peel and slice your plantains. (To see how to slice a plantain, click here) In a skillet over medium high heat (we used cast iron), heat enough coconut oil to cover the bottom of the pan. 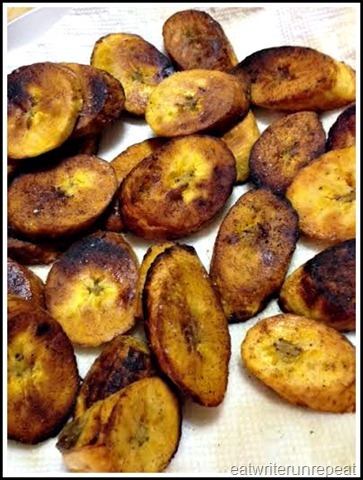 Place the plantain slices in the hot oil, season with chili powder, and cook on either side until brown and crispy but not burnt – about 2 minutes per side. Remove the plantains from the oil and set on a paper town to dry. Sprinkle fried plantains with sea salt. If you used thawed out carnitas like I did, heat the carnitas in the same pan and cook until the ends are crispy and delicious. If your carnitas is coming straight from the crock pot, no need to do anything. 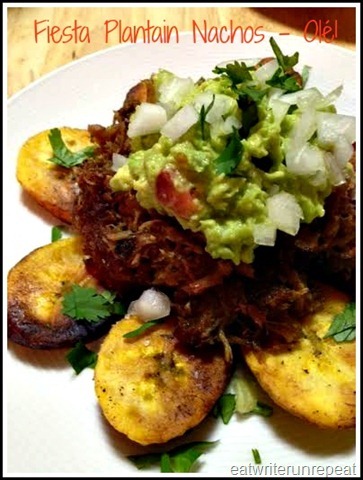 To serve, arrange the plantains on the plate, top with a scoop of carnitas, and add your garnishes – guacamole, salsa, onion, cilantro, etc. Enjoy! Day Two Overall: Still feeling pretty good, although I’m only two days in. Based on my past experiences I’ll probably be OK for about a week before I start to get cranky, and it’s usually about the halfway point when I’m ready to just quit. My meals yesterday were good and I didn’t feel the need to snack in between, which is a bonus, and I didn’t suffer any cravings to speak of. Two days down, twenty-eight to go! Posted on 4 January 2014 7 October 2015 by BeePosted in Pork, Whole 30Tagged carnitas, dinner, pork, Whole30. Next Next post: Whole30 Days 3 and 4 – and a lesson in label reading. Happy Whole30ing! Your salad looks SO good. 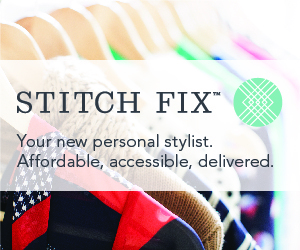 Thanks for the shout out to my blog… happy new year to you! HOLY COW THOSE PLANTAIN NACHOS LOOK AMAZING!!!!!!!!!!!!! I’ve never tried plantains but those look yummy! And I totally need to try that chicken. Just made the mayo from The Clothes Make the Girl. Pingback: Whole30 Days 14 & 15 – and the Easiest Breakfast Ever | eat. write. run. repeat!